Use the cylinder suffix 'T' for full size interchangeable core or the cylinder suffix 'HD' for small format interchangeable core, see Figure 1. Small format also has a disposable core option which is designated with the cylinder suffix 'BDC'. 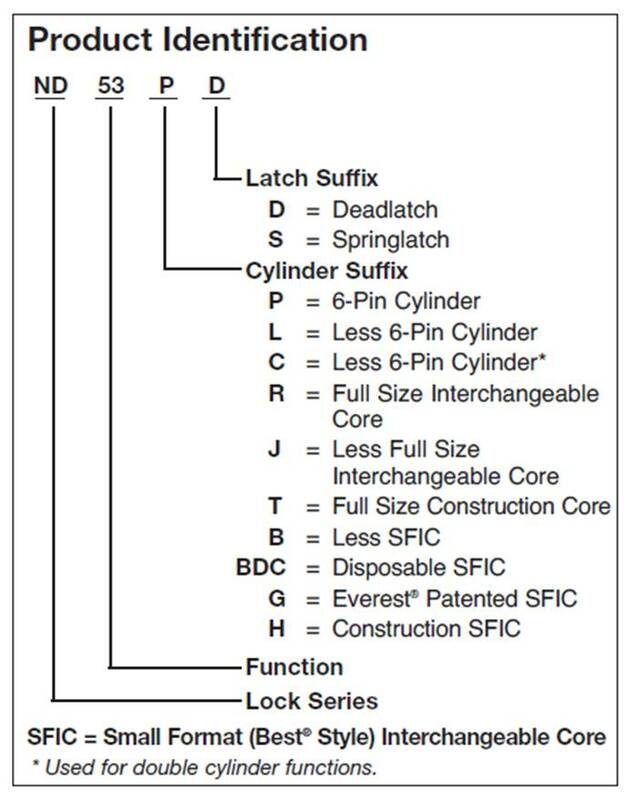 Can we use split key construction on SFIC core? What are construction core bittings for schlage? Are lever handles available with small format interchangeable core lockset?